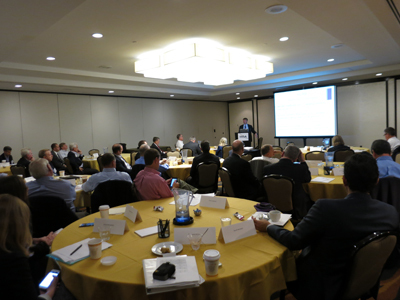 The 2015 IWLA Council Summit and Regulatory Fly-in left a big impression on Washington, D.C., last week with dozens of attendees coming together to discuss important regulations affecting their businesses. Here is a recap of the highlights. All of these elements require extensive recordkeeping. A 3PL will become a conduit for its clients’ records, often seeking records from the client and sending records on to the next. A 3PL must have a food safety plan in place that is updated and overseen by a qualified individual. These plans must contain a series of hazard analysis, preventive control, operation monitoring, corrective action, verification, and reassessment process for all these things. The FDA recognizes that not all operations, circumstances, or evidence is equal. The agency understands a gray area exists when it comes to prevention controls, analysis, credible evidence of contamination, and other unexpected scenarios. The important thing is that whatever actions are taken must be documented in a 3PL’s records. These must be maintained and accessible for two years. Some IWLA member companies that deal with canned foods or packed/sealed foods may be exempt from FSMA. It is important to verify these exemptions with the FDA before the compliance deadlines. Sven Rundman, senior industrial hygienist, Office of Health Enforcement OSHA, spoke to the IWLA Chemical Council about hazard communications, injury reporting, the temporary worker initiative, and process safety management. The next deadline in the updated Hazard Communication Standards rollout is Dec. 1, 2015, as the date when distributors must not ship containers labeled by the chemical manufacturer or importer unless they show the HCS 2012 label. Following that, employers must have an updated labeling system and hazard communication program with any additional employee training by June 1, 2016. Though the final directive from OSHA is still pending, distributors must show “reasonable diligence and good faith effort” in trying to obtain updated labeling information or a letter of interpretation. This is especially true for those goods that are already in commerce. The temporary worker initiative is designed to equally protect full-time and temporary workers to receive the required training and safety protections. The ruling requires staffing agencies and employers to communicate, coordinate, and collaborate efforts. USPS: A Move Toward Warehousing? 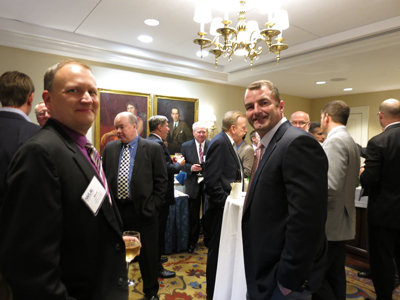 Last but not least, IWLA members took time to visit with members of Congress. IWLA’s warehouse logistics industry representatives’ major focus areas included the U.S. Postal Service’s transition into warehousing as an alternative revenue stream. The Postal Innovation Act allows USPS to conduct pilot programs to provide non-postal services include warehousing. 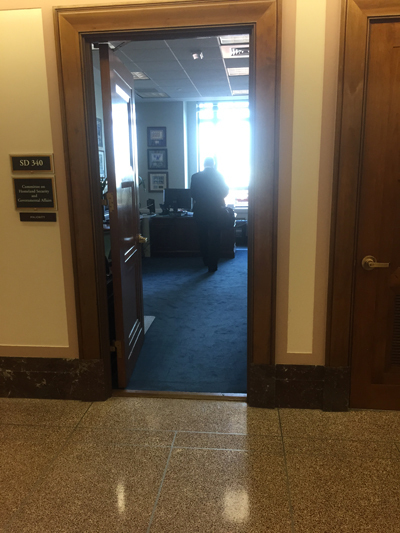 IWLA’s stance on Capitol Hill was that there is an unfair competitive advantage to USPS in the 3PL industry, due to subsidies related to its status. IWLA offered to engage with the USPS to develop and strengthen new opportunities for USPS to expand, particularly in the first- and last-mile capabilities. Stay tuned for more information on many of these issues as new information comes out. The IWLA Government Affairs Council and the special-interest council leaders thank everyone who attended and made this event successful. Correction: Thomas Galassi, MPH, CIH, director of enforcement, U.S. Department of Labor and the Occupation Safety Health Administration (USDOL-OSHA) did not speak to the IWLA Chemical Council, rather Sven Rundman, Senior Industrial Hygienist office of Health Enforcement OSHA presented on the topic on his behalf.